Nerf has just updated their official game section on the game called Roblox. I’ve seen my little cousin play the game once in awhile. The challenge is supposedly really easy to accomplish. Check below for the official description and a game video. Get ready for some serious target practice! Select either the new Diatron blaster or the new Rough Cut blaster and hit as many targets as you can each 5 minute round. Targets are worth different points so be on the lookout for red targets – they’re worth extra points! Be sure to grab the different power ups so you can shoot faster and score more points.As an added bonus, the MVP of each round will be able to unlock the upgraded Rough Cut blaster with precision scope. © 2013 Hasbro. All Rights Reserved. AFON got their hands on the Vortex Diatron, and boy, when the product description said it used a lever, it really uses a lever. He also shows how it fires (2 discs from one barrel!) and also shows the magazine loading system. Which is very similar to the Vigilon. In a crazy, sudden turn of events. 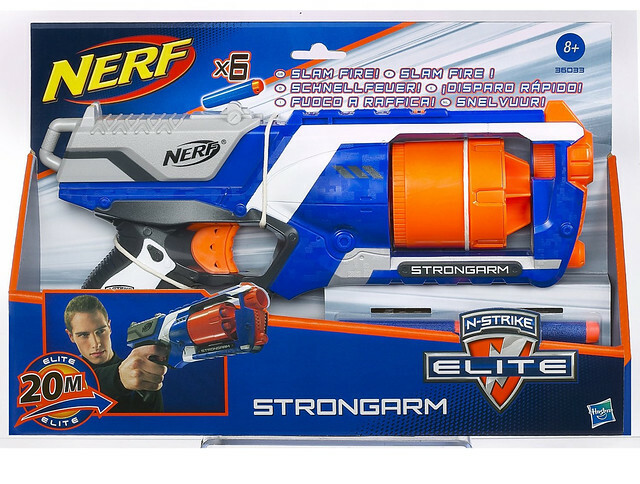 Amazon.uk has put up box art, product shots, and product info on 5 up coming new Nerf blasters! I know theres been numerous leaks all over the net on these and other things, but I have declined to post them. I figure that since their up on a Major retail site, their fair game to share now. Their also available for pre-order, but no word and when they’ll actually come out. Also, check out my thoughts and analysis on these blasters in the video below. 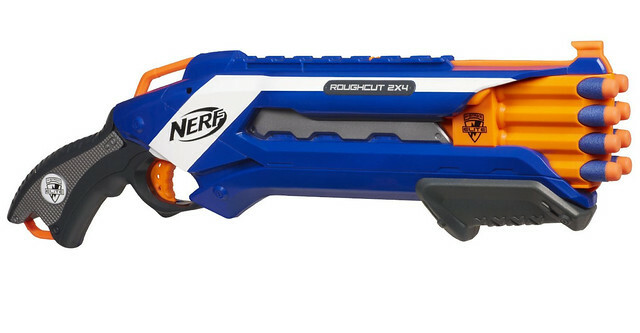 The Nerf Vortex Diatron, priced at 19.99 British pounds. Are you ready to bring some multishot madness to your next mission? 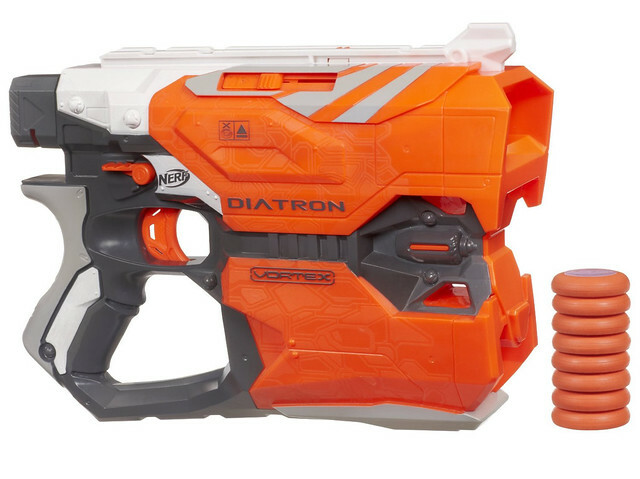 The Diatron blaster lets you send 2 discs hurtling toward your target at the same time with every shot. 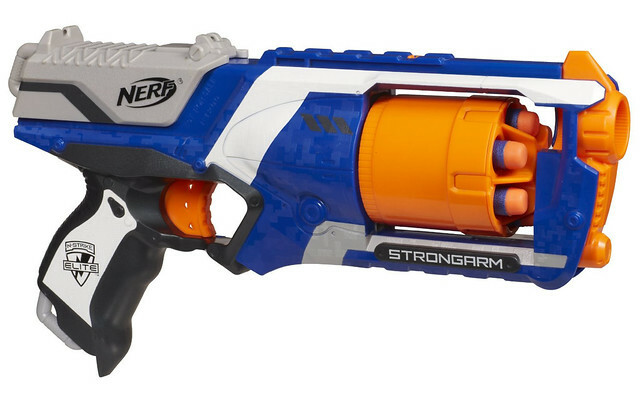 Firing this fast is no problem, because the blaster’s built-in drop-down magazine snaps open for fast, easy reloading. The blaster’s Tactical Rail is compatible with any Tactical Rail accessory (sold separately) so you can upgrade at will for even more strategic advantage. The blaster’s revolutionary XLR Disc Tech hurls the bright orange Vortex discs an ultra-long distance. 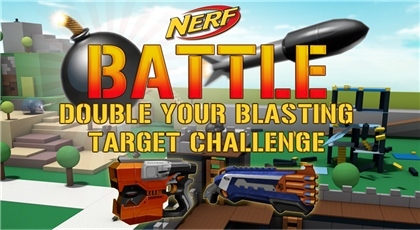 Blast your target with double firepower to outfire your opponent. 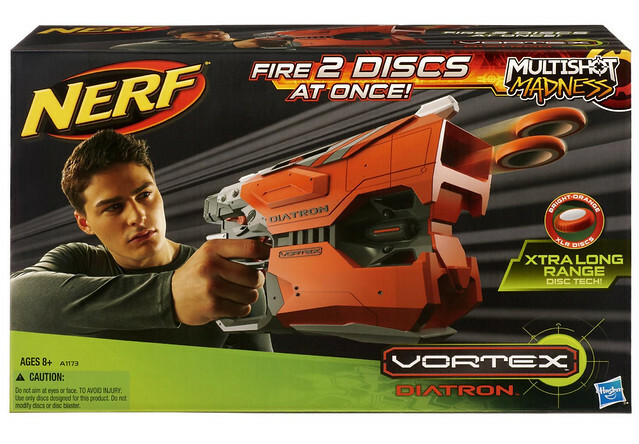 Diatron blaster fires 2 discs at once. 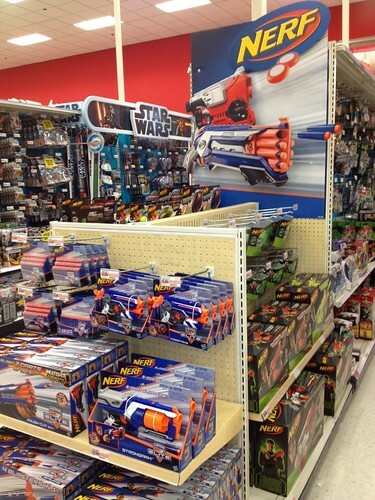 Load your blaster with the 8 included discs. Snap open the drop-down magazine for quick reload. Magazine holds 10 discs. Blaster’s revolutionary XLR Disc Tech hurls the bright orange Vortex discs an ultra-long distance. Pull the priming lever and then push it in to load 2 discs. Upgrade with any Tactical Rail accessory (sold separately). The N-Strike Elite Ruff Cut 2×4, priced at 19.99 British pounds. 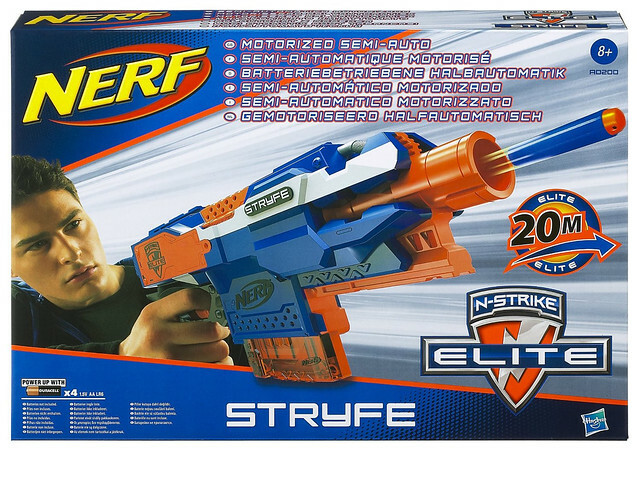 The N-Strike Elite Stryfe, priced at 17.99 British pounds. 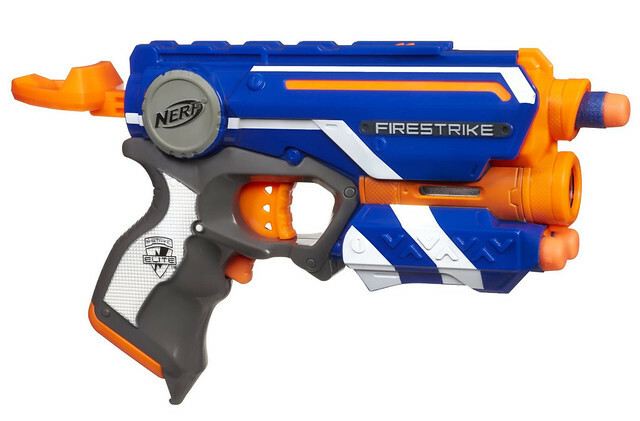 Complete your mission even in the shadows with the Firestrike blaster. This compact blaster’s precision light beam targeting gives you laser-like focus even in low-light conditions. Activate the Light Beam Trigger to zero in on targets up to 15 feet away. 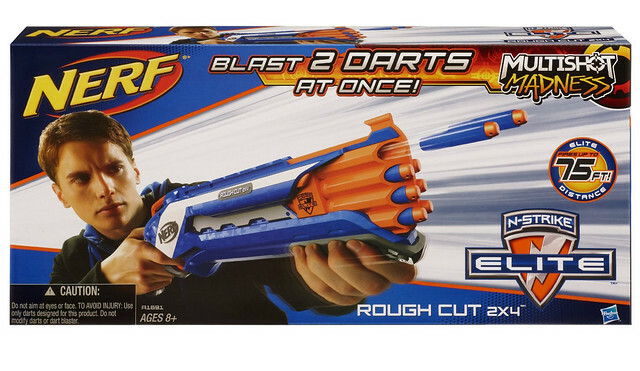 The Firestrike blaster launches Elite Darts up to 75 feet. 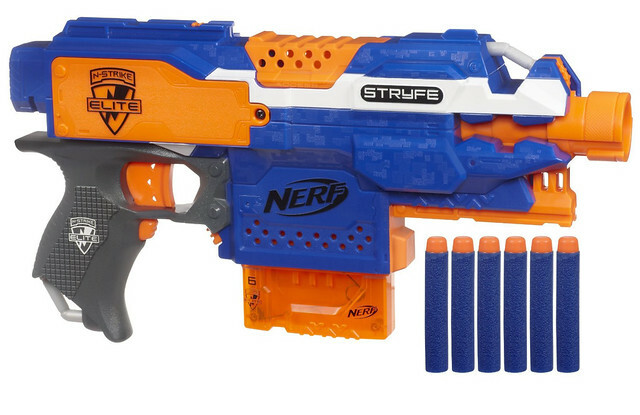 As with most N-Strike blasters, the Tactical Rail lets you add most N-Strike Tactical Rail accessories (sold separately) for more battle capability. 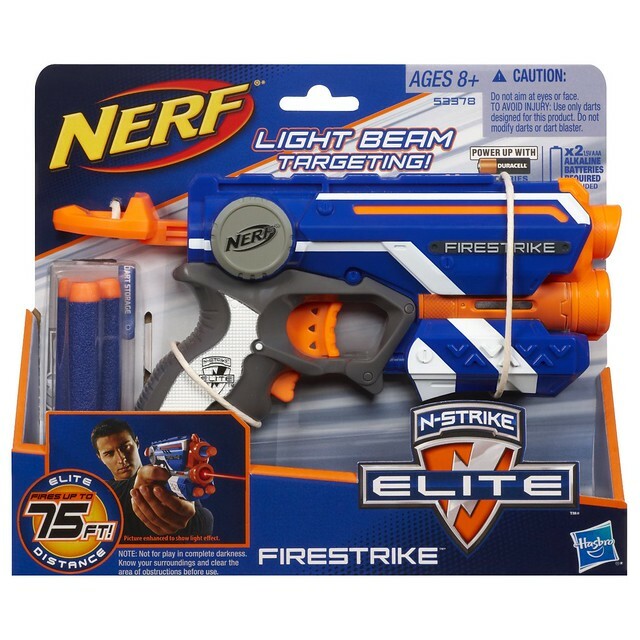 Power up the Light Beam on your Firestrike blaster and get ready to take out your target with one shot.